‘Did not support’ is a stretch. 128 nations (including NZ) supported the motion that the USA’s recognition of Jerusalem as the capital of Israel should be deemed ‘null and void.’ Thirty-five nations failed to attend or ‘abstained.’ The following nine nations voted against the motion: Guatemala, Honduras, Israel, Marshall Islands, Nauru, Palau, Togo and the choirmaster, USA. At the UN, the USA blames the Gazans for their mass suicide by IDF sniper-fire. In previous blogs I have wittered on about the need for UN reform. In Blog No. 153, I gave details of the recent massacre of Palestinian civilians by the snipers of the Israeli Defence Force. 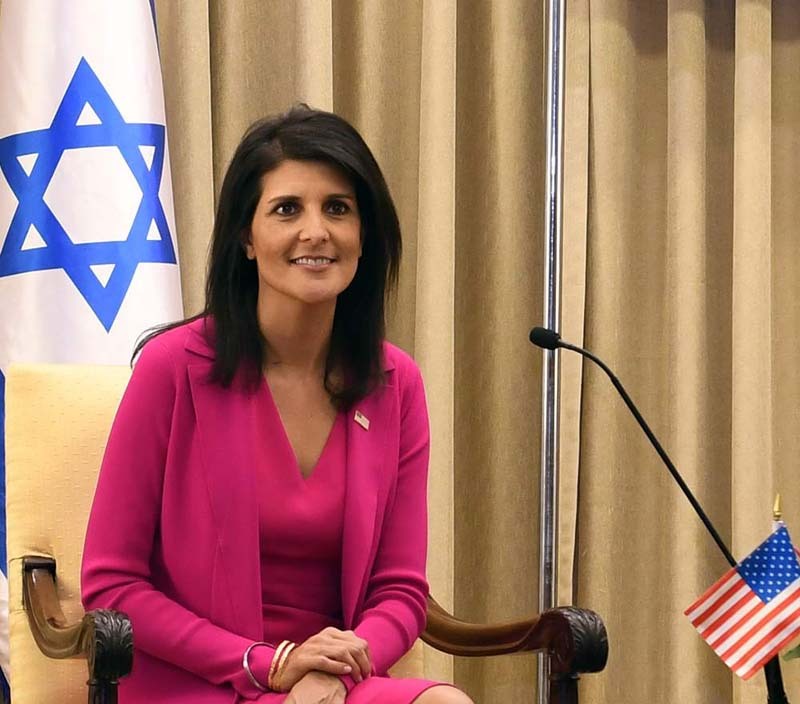 That event serves perfectly well as one of thousands of quotable instances whereby Israel has demonstrated its contempt for the rule of international law on human rights and state aggression. Such excessive and destabilising criminality could be brought under control by the international community were the UN able to act effectively as the guardian of international peace and justice that was its original intent. However, two factors are preventing this, thereby spoiling (with the possibility of ending) the lives of millions. The first of these factors is the fact that the exercise of a single veto on the Security Council can block the will of the remainder of the world and give a ‘Get out of Jail’ card to the cruelest criminals. It is bad enough that major nations with significant populations can exercise the veto to help them towards their own national political goals. However, allowing access to the veto to a nation of around just six million inhabitants, with a proven record of armed aggression against its own racially mis-coded natives and against neighbouring states, makes a mockery of the whole UN venture. The obvious question is why should the US expend so much international political capital in defence of what almost all of the rest of the world sees as indefensible? A Google search for ‘The Israeli Lobby’ will unearth sufficient information to explain how so much of US Middle Eastern policy is directed against the USA’s own and the rest of the world’s interest. With his decisions to unilaterally exit from the JOCPA with Iran and to move America’s embassy in Israel from Tel-Aviv to Jerusalem (and arrange its grand opening to fall on Nakba Day, the same day of the year in which the Palestinians mourn the loss of their land) President Trump demonstrated, perhaps more than any preceding American President, that he was Israel’s uninhibited partisan. His preparedness to emerge even further from the closet of sham neutrality than any of his predecessors in office inspired me to search for further information on the Trump/Zion relationship. This 37 minute video report is what I came up with (4.) If you haven’t time to watch this rather meandering exposé, just accept that Donald Trump is deeply indebted to Zionist banking family, the Rothschilds, who in turn have huge interests in Israel’s annexation of the Golan Heights, the seizure of Syria’s remaining oil-fields and in regime change in both Syria and Iran. The first ten minutes of the Blackstone exposé deal with the CIA’s collaboration with ISIS in Syria. You will not learn about this in any of the West’s mainstream media, but if you travel the blogosphere you will find no lack of collaboration that the claims of CIA/ISIS collaboration in Iraq and Syria are not the ravings of a single conspiracy theorist. My fairly well educated opinion on the subject is that they are largely true. If the speaker is right in these initial claims, there is no reason to believe he is wrong on all else that follows regarding Trump and the Rothschilds. Certainly, the testimony of my friend and CIA whistle-blower, Harmon Wilfred, who has personally met with and had dealings with senior members of the Rothschild banking fraternity in Lichtenstein, fully supports claims regarding Rothschild devotion to the Zionist cause and their position of influence over the CIA. 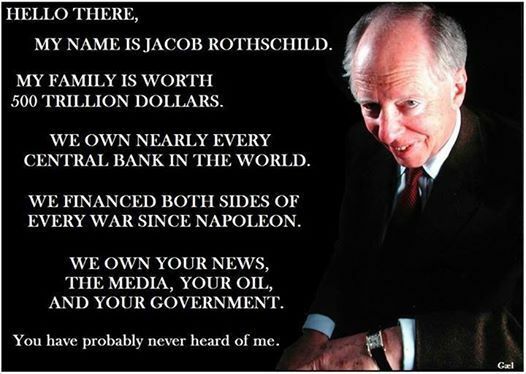 Again, those wishing to identify the existence of a Rothschild connection to Zionist ambitions in the Middle East and elsewhere, need only to Google ‘Rothschild Zionism’ to be burnt alive in an inferno of conspiracy theories, which should at least suffice to fill their nostrils with an authentic smell of smoke. This entry was posted in Global Governance, Middle East and tagged Blackstone intelligence, CIA-ISIS collaboration, Genie energy, Nikki Haley begs at UN, Rothschild Zionism, Trump Rothschild relationship, USA Israel UN Veto.